Find a range of off-road, trail and fell running shoes here for the running enthusiast. Use the filters down the side to narrow down your selection. 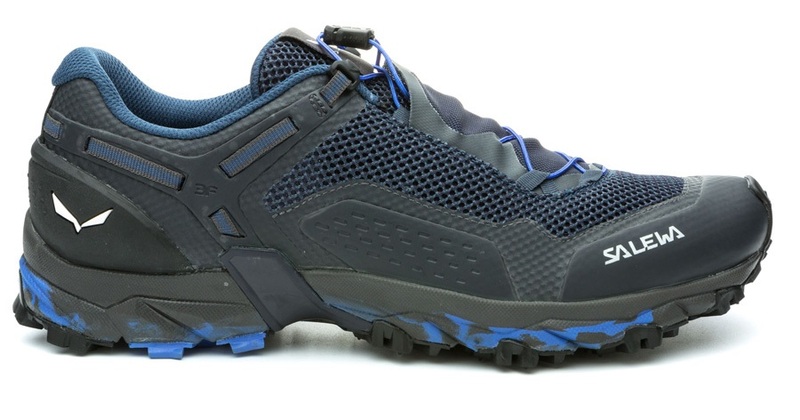 An ultralight speed-hiking/running shoe for where saving weight is paramount, from Salewa. The lightest Adidas Terrex trail running shoes ever made, unbeatable for leisure or competitive running. The ultimate technical mountain race shoe - perfect support and stability on any terrain. The most versatile trail running shoe - support and comfort on any terrain. Versatile running shoes from Salomon, designed for use in and out of the water. A women’s specific ultralight speed-hiking shoe for where saving weight is paramount, from Salewa. Super-grippy off-road running shoes with built-in protection. A great choice for all trail runners. Women's Gore-Tex off-road running with good weather and debris protection. A great choice for keen trail runners. Merrell's All Out Crush collaboration with Tough Mudder! Super-grippy off-road women's running shoes with built-in protection. A great choice for all female trail runners. Trail and off road running shoes for lightweight performance with durable construction.